Rohit Sharma also known as the Hitman of Indian cricket finally broke silence on his absence from test cricket. The right arm aggressive opener mentioned that there is no point bickering about his half-over test career. Rohit Sharma despite possessing some sensational records in the limited format of the game failed to emulate his ODI performances in the longer format of the game. ALSO READ- WHAT DID AJINKYA RAHANE SAY ABOUT HIS EXCLUSION FROM THE WHITE BALL CRICKET? It really is a pity to see a player of his caliber to have scored mere 1479 runs in 25 test games at an average of 39.97. His inconsistency in South Africa series forced the selectors to drop from the one match game against Afghanistan at Bengaluru which would start from 14th June. 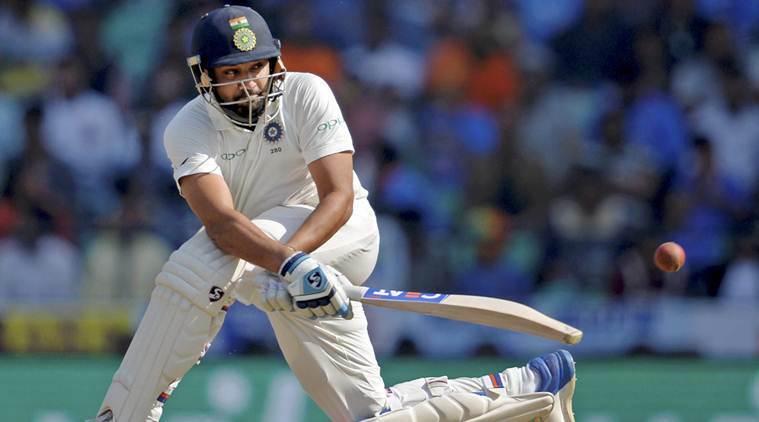 But Rohit Sharma seems unaffected by his exclusion from the test squad and mentioned that the stage he is in at present, he can’t think about selection. “For me, I am not at a stage to worry about whether I will be picked or not. I need to enjoy my game. The first five-six years of my career, it was all about, “oh will I be picked? Will I play?” Now it’s about enjoying the game. These things keep adding pressure on you. Instead, it’s best to enjoy yourself in what you do and give your best, ” said the Hitman. “There has to be time and a slot available for it. The seniors -Sachin, Rahul, VVS, and Saurav- were all playing then so we had to wait. After a point, I realized there’s no point thinking about it. No point in thinking about what the selectors are doing and all” said the Indian vice-captain in limited overs cricket. The Hitman also didn’t enjoy the best of Indian premier league as compared to his previous season’s performance where his team reached the finals and lifted the trophy for the 3rd time. He admitted his poor run with the bat to have been one of the failures of his team this season. “A disappointing campaign without a doubt. I said many times during the season that this team was much, much better. I think we had a much better squad than most of the other teams who went on to qualify. But again, we have ourselves to blame for it. We made too many mistakes,” said the 3 times IPL winning captain. Let’s hope if he gets to make a come back into the squad in near future and fulfill his dream of playing more of the red ball cricket. Rohit Sharma breaks silence on his absence from test cricket : What did he say? Previous articleWhat did Ajinkya Rahane say on his exclusion from the white ball cricket?